Walker is a company that has its origins dated back to 1916. 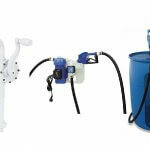 It has since then become an industry leader in the emissions control product sector. They offer a full line up of emissions controls and exhaust products for the replacement and original equipment manufacturer markets. The converters can be outfitted on both import and domestic vehicles. 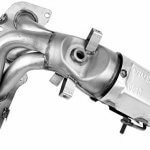 This write-up discusses catalytic converters and provides the best Walker catalytic converter reviews to help you decide which CAT converter to choose. This is one of the most common fits for Nissan vehicles. It will work on the Frontier 2005-2011 models, NV1500 2012 models, Pathfinder 2005-2010 models, and Xterra 2005-2010 models. Its flange to flange design makes it easy to bolt to the existing exhaust. The Walker 16468 is indeed a best seller and one of the reasons many customers choose it is due to its high load of precious metals and optimal substrate content. This is another ultra EPA certified CC. 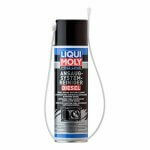 It is intended for use on OBDII, 1996 and newer vehicles. It is straightforward to install because of its flange to flange design which bolts to existing exhaust. The stainless-steel body and pipe heat shield add strength and durability to the build. Its substrate material is made from ceramic. The 16167 is very commonly used in Honda CR-V models. 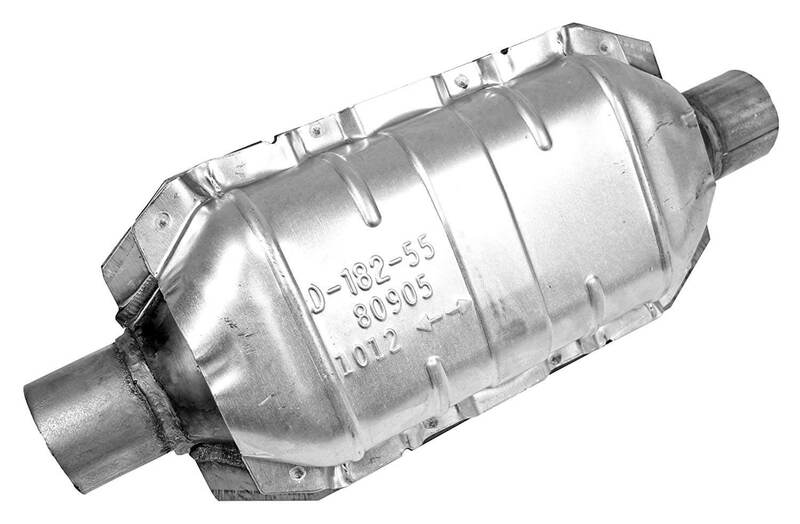 This Walker catalytic converter fits on my 2014 Fusion Ford SE Hybrid with a 2.0 L4 Engine. It is an original equipment manufacturer design which includes the hangers, flanges, and brackets required to mount. The body is made from stainless steel, and the pipe is heat shielded for extra durability. The structural brace ensures you don’t get any damage inflicted if it contacts road debris or particles. It is ultra EPA certified and has an emissions warranty of 25,000 miles which is equivalent to 40,000 kilometers. The structural warranty lasts up to 5 years or 50,000 miles depending on which occurs first. It is legal for use in the State of California and is compliant with California Air Research Board regulations. It uses the CalCat technology to reach this compliance and provides a 5 year/ 50,000-mile performance and structural integrity warranty. Most vehicle owners don’t think about the emissions technology on their trucks until the check engine light starts to flash. In many cases, the vehicle’s onboard diagnostics has filed a code linked to the emissions system. Most commonly, the problem has happened in the engine, fuel, or ignition system. These issues all impact the catalytic converter’s capacity to perform. But what does the catalytic converter accomplish? 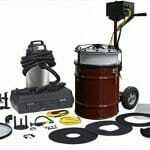 Its task is to employ its complex technology to reduce emissions of harmful substrates and particles. Automotive engines run on individually controlled amounts of air and fuel which are supplied into the engine’s combustion chamber. As this mixture burns, it quickly extends creating the mechanical power that propels the wheels on the vehicle. After combustion, the remaining gases are pushed out of the engine and into the exhaust stream. Among these gases, are three main elements which are nitrogen oxide, carbon monoxide, and unburned hydrocarbons. 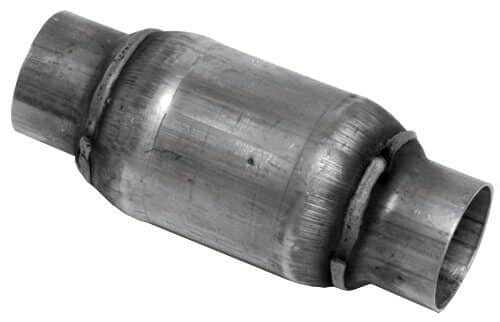 These gases pass through the catalytic converter which uses a precious metal coated substrate to use as a catalyst to regenerate the pollutants into carbon dioxide and water vapor. Early converters only cleaned up carbon monoxide and hydrocarbons through a process called oxidation. It is essential to understand that lean burning is more beneficial to the engine than oxidization. As a result, emissions regulations became stricter over time, and vehicle manufacturers need to clean up CO, HC, and nitrogen oxide. But unlike oxidization, the conversion of nitrogen oxide commands a higher fuel than air ratio. This condition is called a rich mixture. Over time, engineers realized a way to allow the engine to run both lean and rich through 3-way converters. Today, modern 3-way converters like Walker units feature an advanced catalyst that stores and releases oxygen. 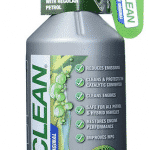 It works in combination with the engine controls which change the air-fuel mixture between lean and rich to ensure proper removal of nitrogen oxide and hydrocarbons and carbon monoxide. Poisoning is the decay of the internal honeycomb substrate. Once the substrate is contaminated, it drops in its ability to clear up emissions. A few well-known poisons that will damage the substrate include antifreeze/coolant, gasoline, certain engine oil additives, and some chemical sealants that are mistakenly used when maintaining gaskets. Antifreeze in the exhaust stream means a severe problem with the engine. In most circumstances, it is a cracked or leaking cylinder or failed intake manifold gasket. 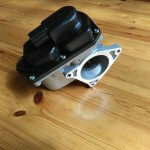 Intake manifold leaks have become a big obstacle due to the use of composite intake manifolds. 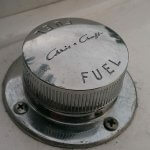 Furthermore, leaded fuel should never be utilized on a vehicle outfitted with a catalytic converter. The substrate is a ceramic block with small squared courses on which the exteriors are covered with a wash coat and a mixture of precious metals. These channels create the biochemical reactions required to clean up engine emissions. If the precious metals can’t reach the exhaust flow, the gases leaving the converter won’t meet emissions standards. The most common reasons of coated substrate are excess carbon buildup and extreme oil consumption. Extreme oil consumption is an issue of critical engine damage. This usually occurs when the converter has been driven to work too hard and create too much heat due to unreasonable hydrocarbons, carbon monoxide, and nitrogen oxide in the exhaust flow. 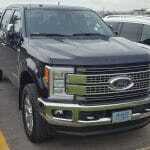 The most apparent cause why this occurs is due to a fuel control or fuel quality problem. Additional likely reasons are worn oxygen sensors, low engine compression, a restricted air cleaner, and poor spark or weak engine. The most typical situation of structural load damage is physical damage from roadway debris which should be apparent to see on a converter shielded shell. 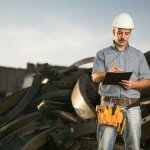 Other types of material harm are corrosion from road salt, stress fractures, torn oxygen sensor threads, metal fatigue, and failures of the flex pipe. Another prevalent form of physical damage is when the converter is operating at a high temperature and suddenly is cold dampened in water from a large puddle or snow or ice. The thermic confusion can ruin the converter substrate. In all these four cases, the issues must be resolved before installing a replacement catalytic converter. Keep in mind that all most states regulate emissions through the Environmental Protection Agency. However, if you are in California, then you must be in compliant with the CARB laws and regulations. 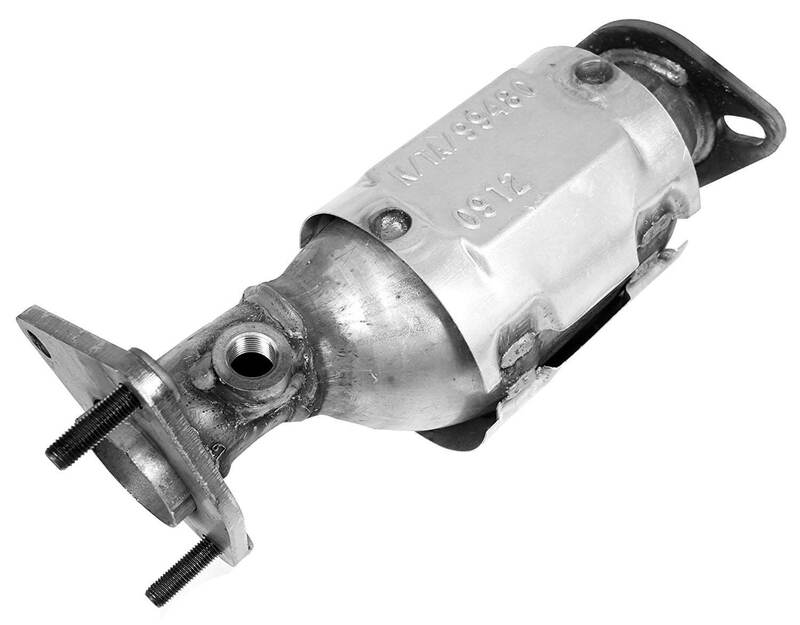 We hope this detailed guide on the best Walker catalytic converter reviews was helpful. 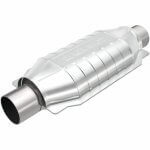 Walker is your best choice if you need a catalytic converter replacement on your vehicle. 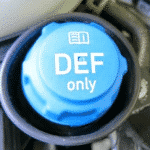 Is a DPF Filter Covered Under Warranty? DoNotDPFDelete.green is a participant in the Amazon Services LLC Associates Program, an affiliate advertising program designed to provide a means for sites to earn advertising fees by advertising and linking to Amazon.com.